The Gay Gamer: Saturn games coming soon to a Wii near you? Saturn games coming soon to a Wii near you? Nintendo certainly could go down that road if it wanted to, as evidenced by the large downloads available to those using Internet-enabled PS3s and Xbox 360s. And, as many pundits have already pointed out, Sega and the big N sure have been chummy as of late. So, who knows? 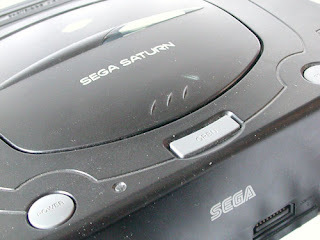 We know more systems (at least one) have yet to be announced for the VC, so the Saturn is as plausible as any. What do you think: Are video games art? Is Sony retooling the PSP? Hajime no Ippo: A Nintendo Knockout?